Shopping over seas can be a great adventure or maybe not. 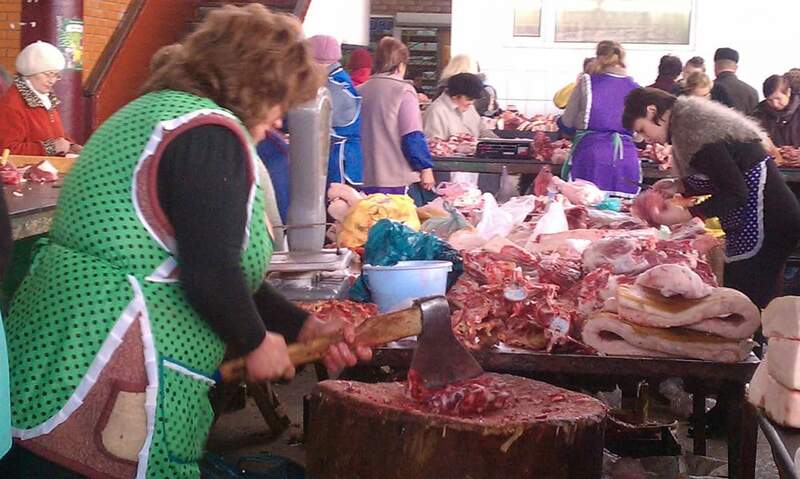 In this blog and the next one I’m going to introduce you to a meat market in Zhytomer Ukraine. This was a huge place that was a full block square. It had a lot of open doors so you could go in from almost anywhere. I want to tell you that as far as I know I have never eaten any meat from this meat market. I say that because when you are invited somewhere else to eat you can’t be sure where they purchased their product. I don’t know what this is but it was for sale at the meat market. When I say open doors I mean open. There were no screen doors so the bugs and the dogs and the cats were all over the place. Yet many people were there shopping. We went there on more than one occasion mostly because it was just different. 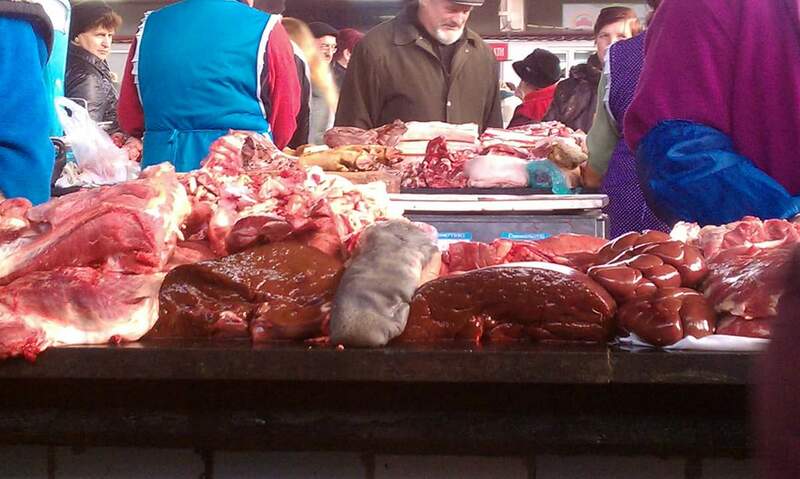 There was any kind of meat you could imagine at that market and some maybe you can’t imagine. Every time we went there I was amazed at what I saw. The first thing I noticed, after the dogs and cats and flies, was the lack of hair nets by those selling their wares and the lack of rubber gloves. The next thing I noticed was the number of people in there buying meat. I don’t know if they were cheaper than the super market where they had wrapped meat like we buy here but this was not the only place to purchase meat. Notice how they are cutting the meat. I will say the super market did not have all the variety this place had. However, I’m not sure I am that into variety. 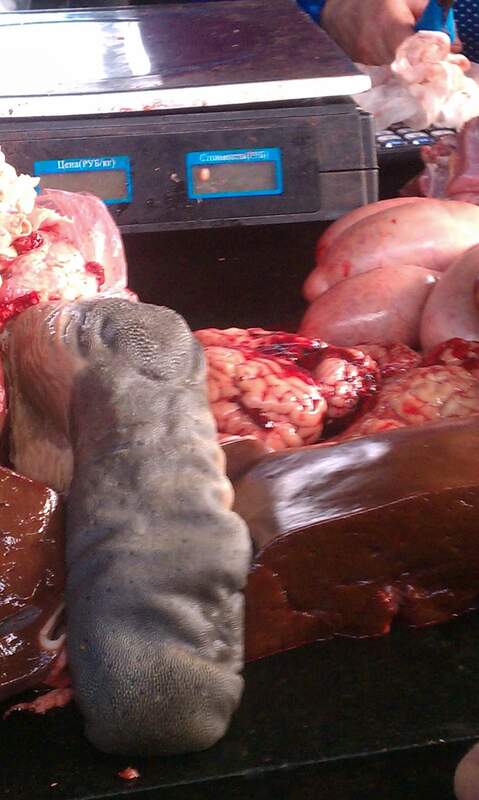 Next week I will tell you about some of the unusual stuff you could buy at this market. Of course it is gross. Why do you think I posted it? You can’t find anything like that here in the states.